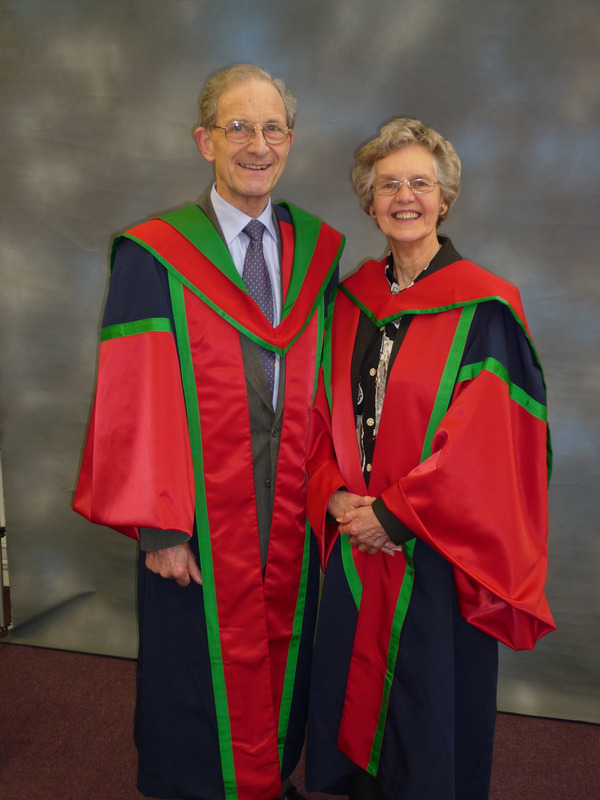 An honorary fellowship has been awarded to Gerald and Judith Henderson at Liverpool Hope University, for their combined contributions to peace and reconciliation through their lifelong work internationally with Initiatives of Change and for their local work in Hope in the Cities and Asylum Link Merseyside. The award ceremony was held on 28 January, 2009. 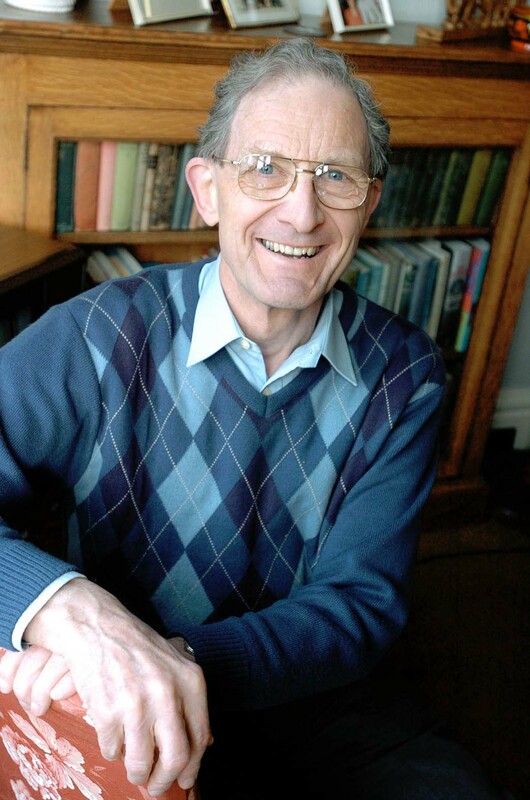 'Gerald and Judith are honoured today for their combined and joint contributions to peace and reconciliation through their lifelong work internationally with Initiatives of Change and for their local work in Faith in the City and Asylum Link Merseyside'. Gerald and Judy spent many years in Nigeria. 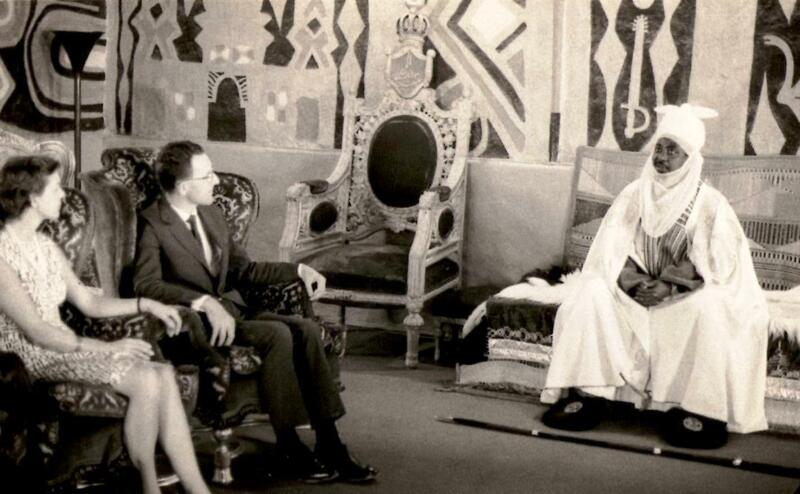 Here they are with the Emir of Kano in 1973. 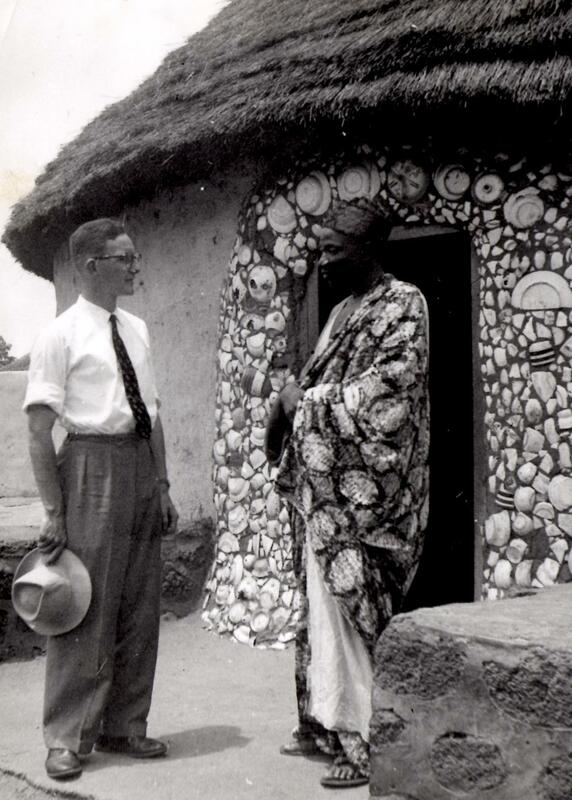 Gerald was also in Ghana, then the Gold Coast, in the 1950s. The Tolon Na was one of Gerald’s best friends. In October 1986 I wrote this tribute to the Ghanaian leader in an American newspaper. Africa has lost a statesman and our family a long-time friend in the death at the age of 78 of Alhaji Yakubu Tali, Tolon Na, of Ghana. Tolon Na had been ambassador, member of Parliament, deputy speaker of the National Assembly and many years president of the Northern Territories Council. He was according to the ‘Daily Graphic’ of Accra, ‘one of the most remarkable personalities Northern Ghana has ever produced’. In a letter to Gerald a while back Tolon Na reminded him of the dinner he had with our parents in our home in London in 1960 when he was on the way to the United Nations. He also recalled the day he came to Gerald’s home in Accra with the whole front bench, that is the whole leadership, of the Opposition in the Ghana Parliament. Gerald is hardly likely to forget that occasion either when the phalanx of robed and turbanned Muslim dignitaries arrived at the door unannounced. Tolon Na wanted them to hear of Moral Re-Armament’s worldwide work for reconciliation. He particularly asked Gerald to tell the story of how the initiator of Moral Re-Armament, Frank Buchman, had helped transform the spirit at Penn State through the change in the life of the bootlegger, the agnostic dean and the most popular student. The experience set him off on a road that affected his country. He is credited with preserving the unity of Ghana when the Northern region was in danger of seceding, probably saving the country from civil war. When high commissioner to Nigeria he stood up to his leader, Kwame Nkrumah, when he feared that an action by the prime minister would jeopardize relations between the two countries. ‘I was scared to do it,’ he said, ‘but I realized that it is the way some of us live that makes our leaders dictators. We tell them what will please them to gain promotion or other favours.’ Later, when the military took over they asked him to stay on as Ghana’s representative in Nigeria because they recognized his integrity. Toln Na’s life was a demonstration of what can happen when men in political life decide to do that. It is also perhaps a confirmation that Christians and Muslims can work together for the advance of faith in the world. I’m no theologian but it sounds sense to me.